The management of the University of Benin (UNIBEN) invites suitably qualified candidates for admission into its part-time undergraduate and postgraduate Degree Programmes for the 2018/2019 academic session. UNIBEN Part-Time Degree Admission Requirements. 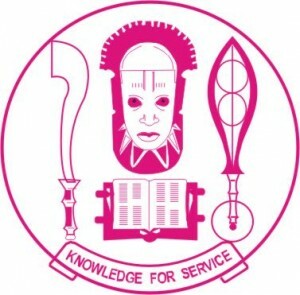 The General University Admission Requirements that apply uniformly across the Faculties as well as the Specific Faculty Admission Requirements are displayed on the University websites: https://uniben.edu. How to Apply for UNIBEN Part-Time Admission Form. All applications (Undergraduates) should be done between 7.00am 31st July 2018 and 12.00 midnight 30th September 2018. Upload a RECENT and CLEAR “1×1” COLOUR PASSPORT PHOTOGRAPHWITH RED BACKGROUND IN JPEG FORMAT ONLY.NOTE that thephotograph uploaded will be the only valid ID for all admitted candidatesthroughout their stay in the University of Benin. FAILURE TO UPLOAD THE SPECIFIED PASSPORT PHOTOGRAPH WILL LEAD TO DISQUALIFICATION and failure/forfeitures of admission. Print out an acknowledgement slip that contains the screening schedule. Candidates should go back on-line on 4th October 2018 to check for the Day, Venue and Time for their examination. Application website closes by 30th September 2018. (i.e. all applications must be concluded online not later than 30th September 2018). Candidates who pay after the deadline will not sit for the examination.